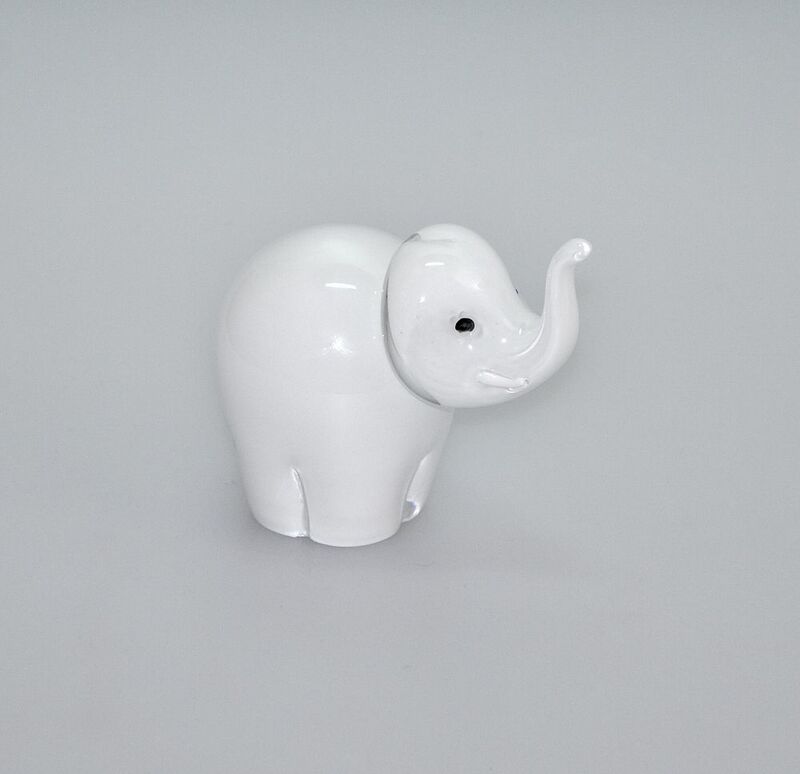 I thought the medium sized white & clear glass elephant on the site was cute, but this small one takes the biscuit for cuteness! His white glass body is encased in clear glass and he has black "button" eyes, small white tusks and a raised trunk. The base is scratch signed "M Hunter Twists 17" and has the Twists Glass studio label.